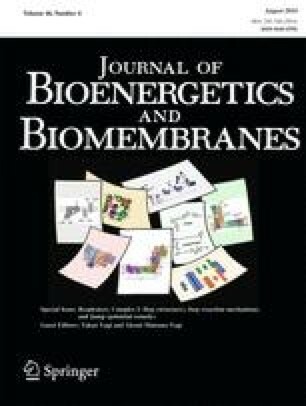 The gene of the previously described plasma-membrane-bound acidic pyrophosphatase (exo-PPase) and adjacent genes of the hyperthermoacidophilic crenarchaeon Sulfolobus acidocaldarius (DSM 639) were cloned and sequenced. The 4-kb gene cluster comprises four open reading frames (sepp, simp, sabc, and satr) encoding the pyrophosphatase, a small hydrophobic protein of unknown cellular function, a hydrophilic ABC transport ATPase, and an amino transferase. The four proteins have deduced molecular masses of 21, 16, 34, and 48 kDa, respectively. Sepp, simp, and sabc are transcribed as monocistronic mRNAs from which sepp and sabc have been heterologously expressed by in vitro translation using reticulocyte lysates. The Sulfolobus acidocaldarius acidic exo-pyrophosphatase is a membrane-residing protein anchored with five transmembrane α-helices. Alignments with protein sequences from databases together with predictions of membrane topology reveal a novel group of proteins with the conserved phosphatase motif KxxxxxRP-(x12-54)-PSGH-(x31-54)-SRxxxxxHxxxD. For none of them a phosphatase or pyrophosphatase acitivity has yet been described except for the authentic Sulfolobus acidocaldarius protein. On the basis of these investigations a direct role of the exo-PPase in dolichyl phosphate or pyrophosphate hydrolysis and in resistance to the peptide antibiotic bacitracin is discussed.